Many organizations track profitability based on revenue in and expenses out to get to the bottom line. I have a much different formula to follow in order to boost the profitability of your organization that doesn’t include looking at P&L spreadsheet. 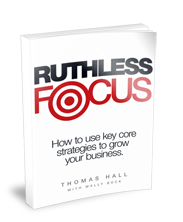 My recommended formula for profitability in business explained in my book, Ruthless Focus, is simply defined as Systems + People + Culture = Profit. Here are details of each variable to get you on your way to an exemplary profit. 1. Provide access to a broad spectrum of markets. 2. Difficult for competitors to copy. 3. Customers perceive it as adding benefits to the product. Not only is having the right people crucial for company profitability but having those people in the right spot is important too. Although big companies may have an advantage in attracting top talent due to more resources and offering employees the surer possibility of career advancement, many CEOs still list hiring the right talent as one of their biggest challenges. If your business is small, try focusing on culture for attracting talent. It will be your business’s culture and mission that will convince a talented individual to join your business over a large company. If you want the right people in the right spot, your company’s hiring and interview process must be fit for making a good choice. Behavioral interviewing experts agree, the best predictor of future behavior is past behavior. Be sure to ask many questions about how your prospective employee behaved in past professional situations relevant to your open position. Get details and stories about specific scenarios. And be sure not to ignore references. These quick and easy phone calls can make all the difference to your selection reducing your cost of hiring and lower employee churn. Culture is a combination of values, thinking, relationships, rituals, behaviors, and morals and is often a learned behavior. It illustrates how employees approach each other, their work, and customers. 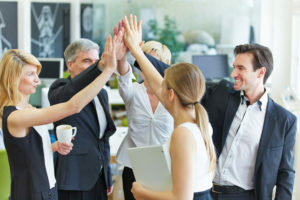 Leadership is the driver for setting the tone and culture of a company, therefore, it’s important for the CEO and other leaders in the company to be worthy role models. They must embody the values and behaviors they expected from those working under them. In parenting, children often act based on what they observe rather than what they are told. If a parent tells a child to not put their feet on the table but they do it themselves, then the child will likely develop the same habit. Company culture works in a similar way. Employees often pick up on behaviors of their leaders rather than following the words. Profitability in business is the sum of systems, people, and culture. As you may have noticed, the components are all interrelated. I encourage you to monitor and measure your profitability formula with efficiency metrics, retention, employee satisfaction surveys and 360 leadership surveys. You can further details about this kind of profitability tracking from business book, Ruthless Focus. The Business Strategy That Has Already Helped Countless Businesses Generate Higher Profits.